Olivia is a theatre director & producer experienced in creating cross-disciplinary work in collaborative environments. 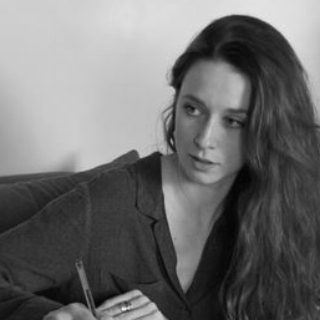 She received a collaborative MA in International Performance Research from the Universities of Helsinki, Warwick & Amsterdam and went on to take up a movement director traineeship at Opera North in 2015. She is a research associate at The Academy of Live & Recorded Arts (ALRA), currently investigating the ethics of international collaboration. She has directed & assistant directed work for York Theatre Royal, Ensemble52 & Theatre Hullabaloo. As a producer she has delivered projects with London International Festival of Theatre, TakeOff Festival and the University of Hertfordshire. Jo is a director and performer working across theatre, virtual reality, and public performance. She is a Company Associate at Milk Presents. Past work includes Dharavi ki Kel, an interactive promenade show for some of Mumbai's most crowded streets, and Howl on the Underground, a pop up performance on London's tube network. In 2017 she was resident director at the Almeida theatre, and in 2018 is a Staff Director at the UK's National Theatre. She was previously the editor of openSecurity, an online publication focused on conflict and peacebuilding. She drags as Joé de Vivre. Vikrant Dhote is a performer, writer, director, and more recently a filmmaker, based in Bombay. He has a B.A in English Literature and has studied at the London International School of Performing Arts. He currently performs in Shikhandi- The Story of the In-Between. is solo theatre show Dekho Magar Pyaar S, a quirky take on gender and sexuality, was developed through the Gender Bender Grant (supported by Goethe-Institut and Sandbox Collective) awarded in 2015. His short film, Any Other Day (2016) won the Best Emerging Director Award at KASHISH- Mumbai International Queer Film Festival (MIQFF) and the APQFFA Best Short Film Award at the Taiwan International Queer Film Festival in November 2017. ja ( 2018) won Best Narrative Short at MIQFF 2018 and is competing for the IRIS Prize.